A nuclear scientist turned Al Qaeda agent was targeting a Total Oil refinery in a bid to cause an explosion which would have destroyed a city ‘the size of London’, it emerged today. Adlene Hicheur , 32, also compiled a ‘wish list’ of senior European politicians as ‘assassination targets’ including French president Nicolas Sarkozy and the country’s interior minister Brice Hortefeux. Hicheur is currently on remand in Paris after being charged on Monday afternoon with ‘criminal activities related to a terrorist group’. And today details of the ‘brilliant and solitary’ physician’s sinister plans were made public by security sources who have been collecting evidence against him for the past year-and-a-half during a surveillance operation. During that time he was using a pseudonym on the Internet as he corresponded with leading members of Al Qaeda’s notorious North African unit. Money transfers had already taken place between the two, as a plan was concocted to target Total, the multinational oil company which operates in most European countries including Britain and France. There had also been an exchange of ‘technical expertise’, with the young boffin offering his considerable scientific know-how. However, Adlene had ruled out any possibility of acting as a suicide bomber, insisting that a kamikaze attack would be less effective than a more conventional one. ‘He had offered his services to strike with an active service unit based in France,’ said the security source. ‘He had started to compile a precise list of intended targets including a Total oil refinery which would have caused an explosion which would have destroyed a city the size of London. Agents working on the case suggested that Adlene, a Frenchman from a modest Algerian background, was part of a new breed of highly sophisticated terrorists who were a growing threat to global security. Judge Christophe Teissier heard how the French authorities had been working with MI5 and the CIA to track Hicheur’s movements around the world, with real fears that he had a nuclear attack in mind. The confession in a high-security jail near Paris came before his brother Zitouni, 25, was released without charge after three days of questioning. U.S. monitors picked up the internet exchange between Hicheur and his North African contacts. At CERN – the European Organisation for Nuclear Research – Hicheur, a devout Muslim, worked on the Large Hadron Collider, a device designed to recreate the conditions of the Big Bang. In 2001 he worked at prestigious Stanford University in California and by 2005 had moved to the Rutherford Appleton Laboratory. He has also worked in other university cities such as London, Manchester, Durham and Edinburgh. The brothers were arrested during a dawn raid last Thursday at their parents’ council flat in Vienne near Lyon, south-eastern France. They were seized after an 18-month investigation by French anti-terror police during which both men made frequent visits to England. 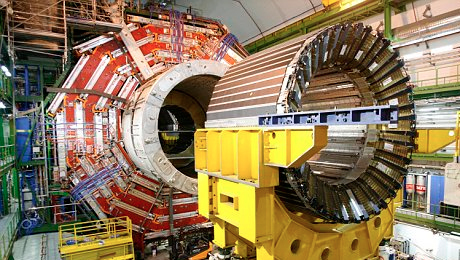 The arrests came hours before the older brother was due to travel to CERN’s Geneva laboratory. 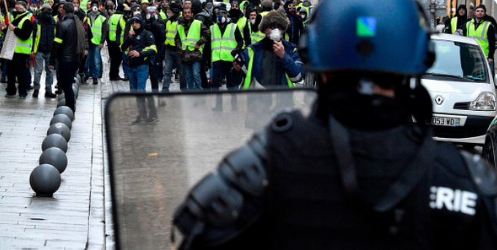 .French interior minister Brice Hortefeux said the threat posed by Hicheur was so serious that he had halted the 18-month surveillance operation and ordered his immediate arrest last week, making it clear that he feared a nuclear attack.